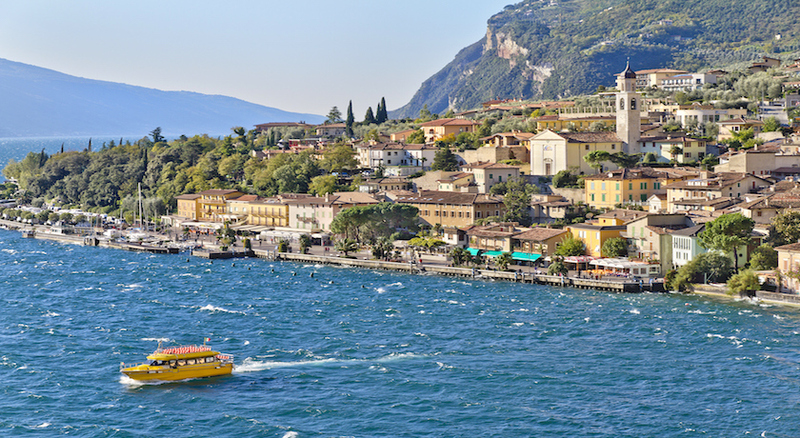 This delightful Lake Garda holiday is perfect if you are looking for a romantic and relaxing vacation in Italy! 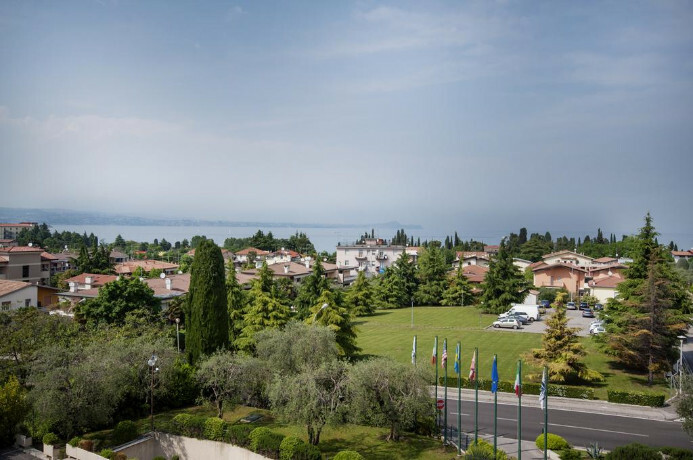 Lake Garda has always had a reputation as an upmarket and classy destination, far from the cacophony that beach holidays invariable attract. 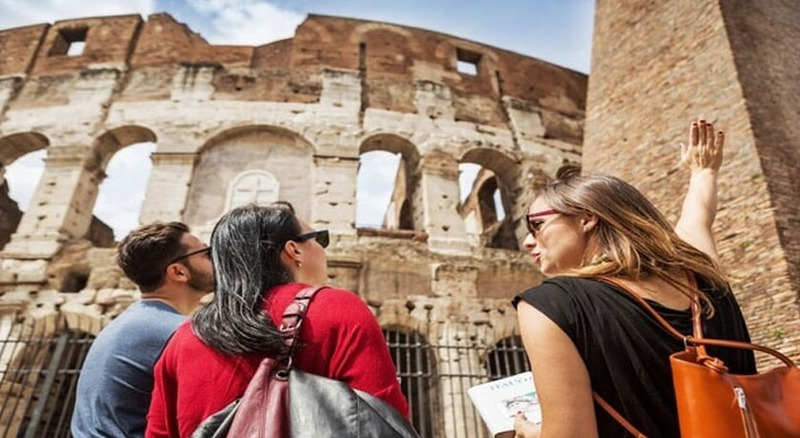 Surrounded by hundreds of villages and towns, the Lake is near Milan, Verona and Venice meaning you can always add a few days in either of these iconic cites to get the best of both worlds. The lake itself is cool and clean making it an ideal summer destination for those wanting to take a dip in the cooling waters, and for the more active you can either sail on the lake or cycle around the area. Here you can meander in and out of cool cafes sipping a Frappuccino simply watching the world go by, or if you choose you can go hiking in the surrounding areas. There is a dedicated fanbase of Lake Gardian travellers who choose to holiday every year in either the same beloved spot or choosing something new each year, for a different perspective and another view of the glorious Lake Garda. 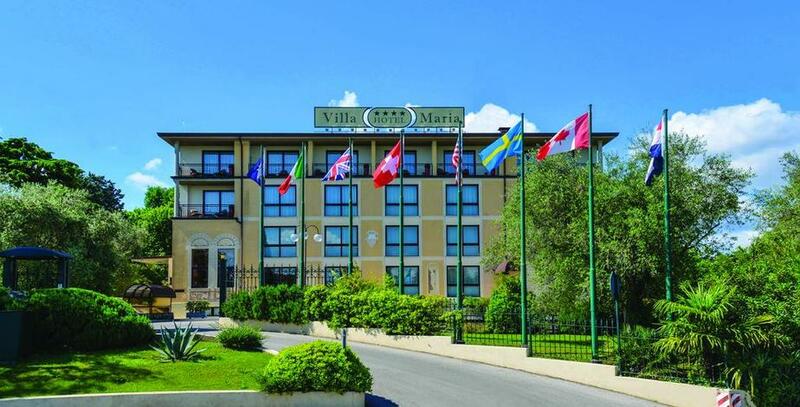 During this holiday you will stay at the Hotel Villa Maria is located at 300 mt from the lake shores and at only 2 km from the centre of Desenzano del Garda, ideal location for those who want to spend pleasant holidays. Positioned in a privileged setting, guests are able to enjoy the natural beauty, art and history of this extraordinary region which is favored by a mild climate all year round. 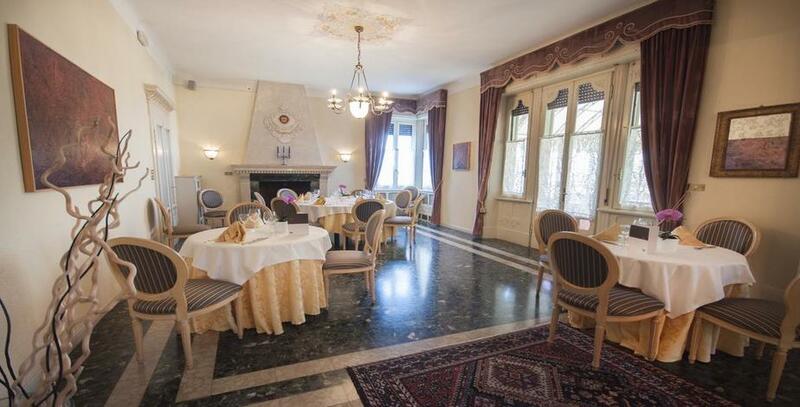 A charming Villa Liberty with an elegant restaurant overlooks the luxuriant park and is composed by amazing rooms and terraces that will welcome guests for unforgettable dinners and important receptions. 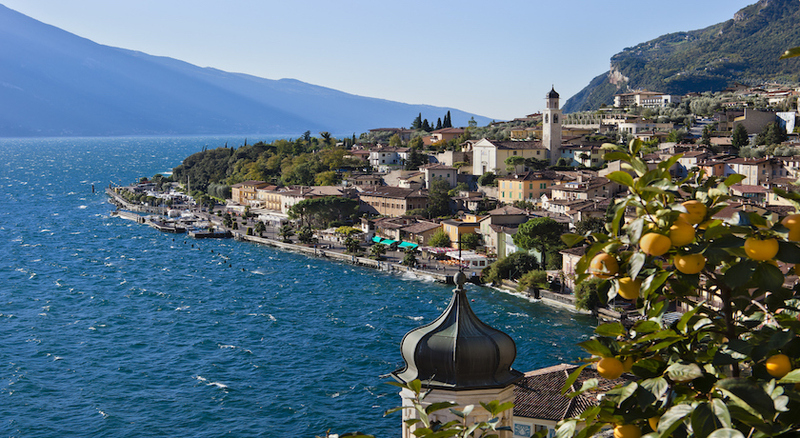 The classy way to holiday is in Lake Garda! Hotel Villa Maria is located at 300 mt from the lake shores and at only 2 km from the centre of Desenzano del Garda, ideal location for those who want to spend pleasant holidays. Positioned in a privileged setting, guests are able to enjoy the natural beauty, art and history of this extraordinary region which is favored by a mild climate all year round. 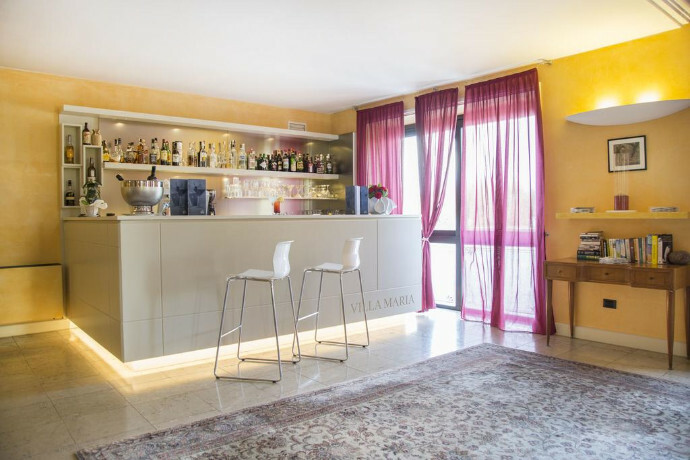 A charming Villa Liberty with an elegant restaurant overlooks the luxuriant park and is composed by amazing rooms and terraces that will welcome guests for unforgettable dinners and important receptions. 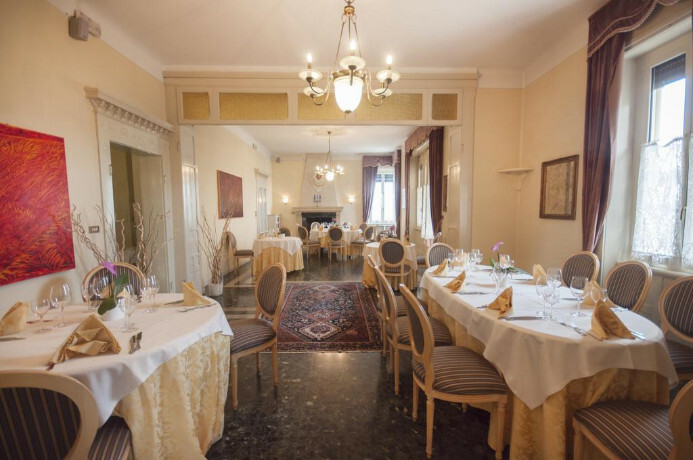 With spacious classically styled rooms, it makes an ideal base for couples or families looking for a quiet break Rooms have classic décor and carpeted floors. 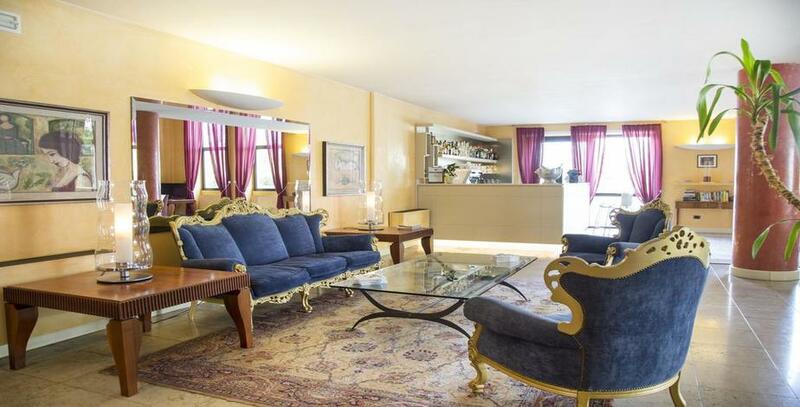 They include a minibar and a bathroom with hairdryer. Some also have a balcony or offer lake views. 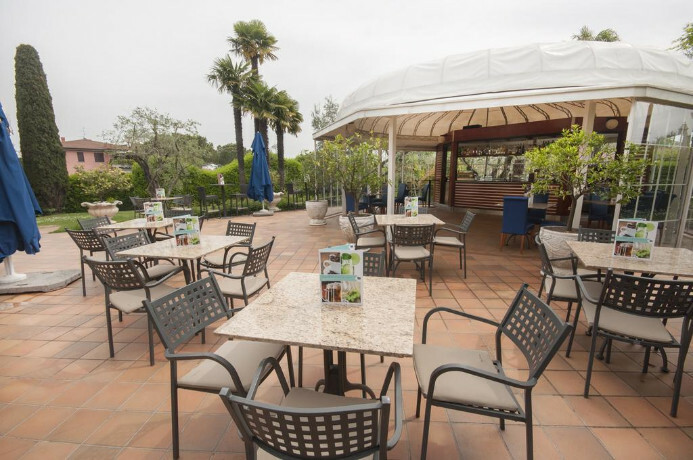 Guests enjoy free access to the hotel’s tennis court, and can relax in the peaceful garden. Bicycles can be rented at the 24-hour reception, where friendly staff can provide tourist information. Hotel also features an outdoor swimming pool equipped with deckchairs and sun-umbrellas. 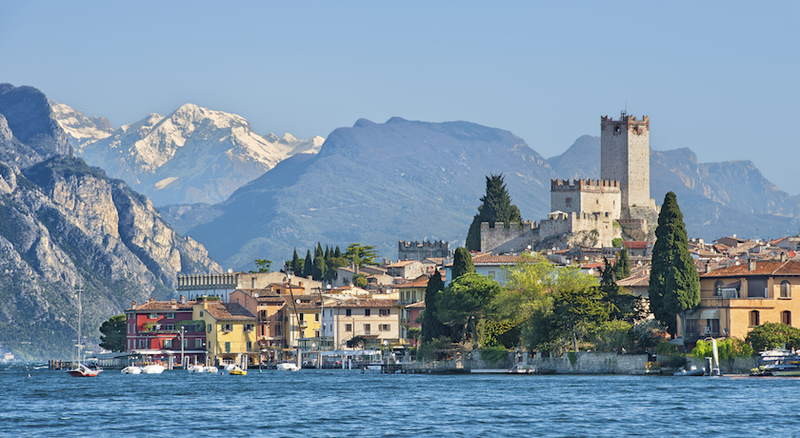 Private Return transfer from Verona to Desenzano del Garda can be arranged at an additional £65 per person. Car hire and local transfer can be arranged at an additional cost.